Please always check the Product Compatibility List in the Product Description to make sure your vehicle is listed. You will also need to verify if your OEM tow hook matches the picture of the compatible tow hook shown in the product listing. Make sure the threading pattern is the same, regardless of tow bar color. The tow bar is designed to fit a number of vehicles so the space between the bumper and the support bracket may vary slightly according to your car. This extra space will give you appropriate hand-space to fully mount the license plate onto the support bracket to make the installation easier. 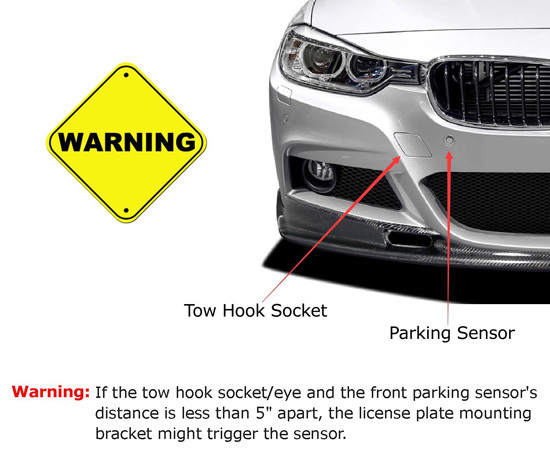 If the tow hook socket/eye and the front parking sensor's distance is less than 5" apart, the license plate mounting bracket might trigger the sensor. Q: What makes this Tow Hook Mounting Adapter unique? A: For starters, there's no modification required. You will be utilizing the tow area/tow hole so there is no drilling or cutting involved. Because these Tow Hook Mounting Adapters are vehicle specific, each bracket comes with 8 mounting holes so that there is no blockage of the intake vents or lights. Each mounting hole is follows a curvature so that you can adjust the angle of your license plates to follow the curve of your bumper. Q: How do I know if this tow hook will fit my car? A: Please always check the Product Compatibility List in the Product Description to make sure your vehicle is listed. 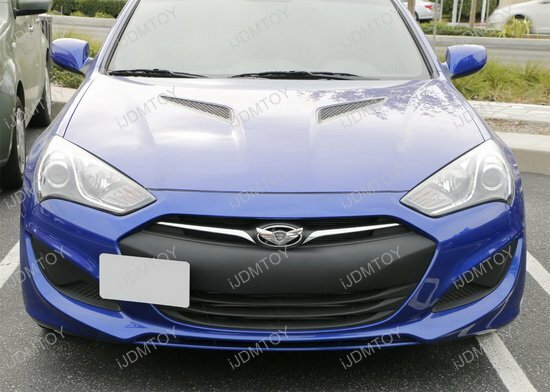 Q: How do I install this Front Bumper Tow Hook Mounting Adapter on my car? 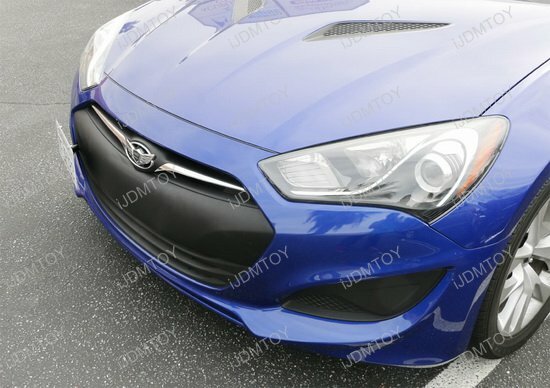 A: Take a look at the front bumper. There should be a cover for the tow hook. Step 1: Use a flat head screw driver to pop off the cover. Be careful! You don't want to accidentally scratch the paint. Step 2: Twist the screw included with the bracket in tightly to the tow hook. Step 3: Screw in the license plate tightly with the bracket. Q: Where can I find the tow hook license plate mount installation guide? A: You can print out a copy of the tow hole license plate mount PDF to aid you in installing this kit. 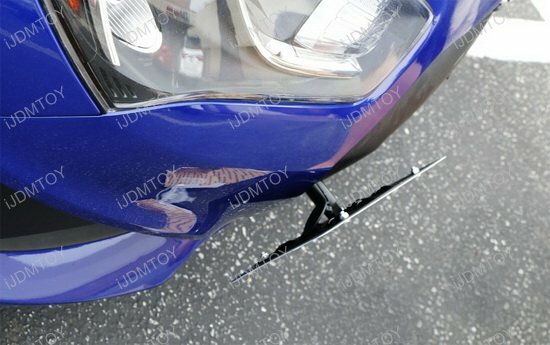 Q: How can I prevent the tow hook license plate mount from spinning? 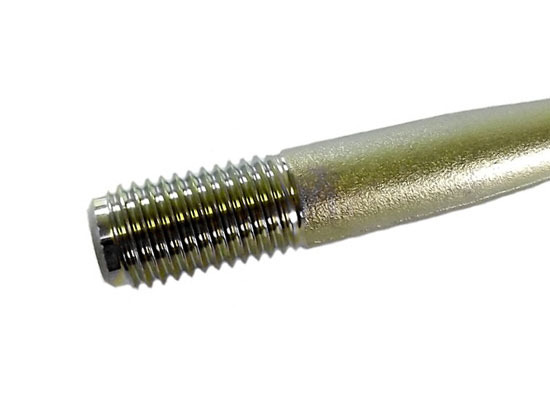 If you want to further secure the tow hook license plate, you can get some Loctite Threadlocker tool from Walmart. 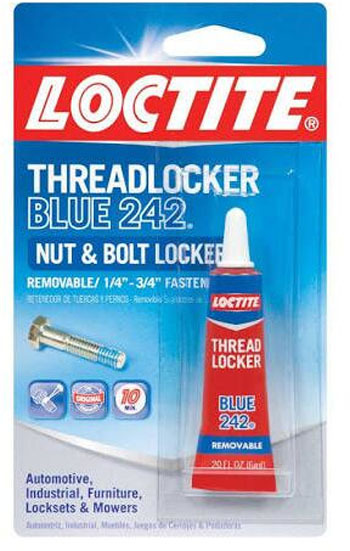 Just search "Loctite Blue". Q: Will the license plate tow hole adapter bracket block my parking sensors? 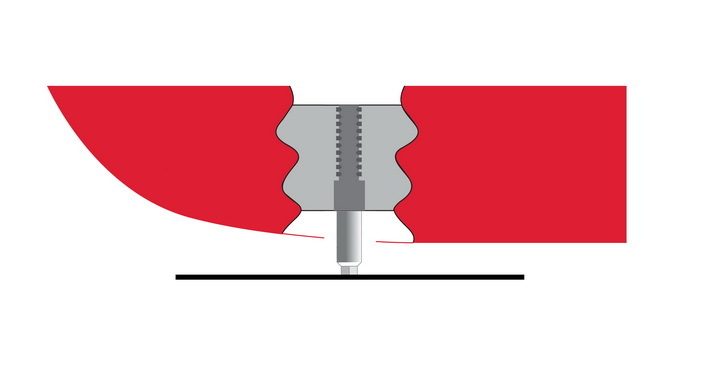 A: The license plate tow hole adapter is made with 8 different locations you can choose from to mount the plate in order to avoid any parking sensors. 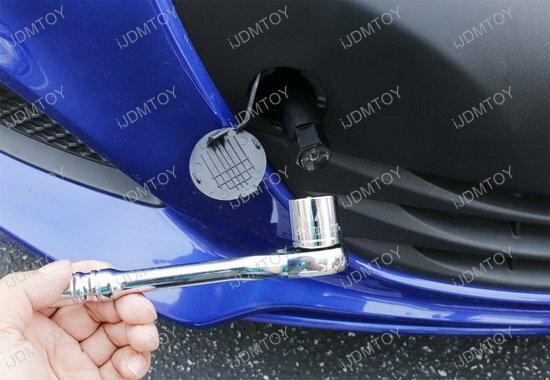 Q: Why is iJDMTOY's tow bar a different size from the stock tow bar? 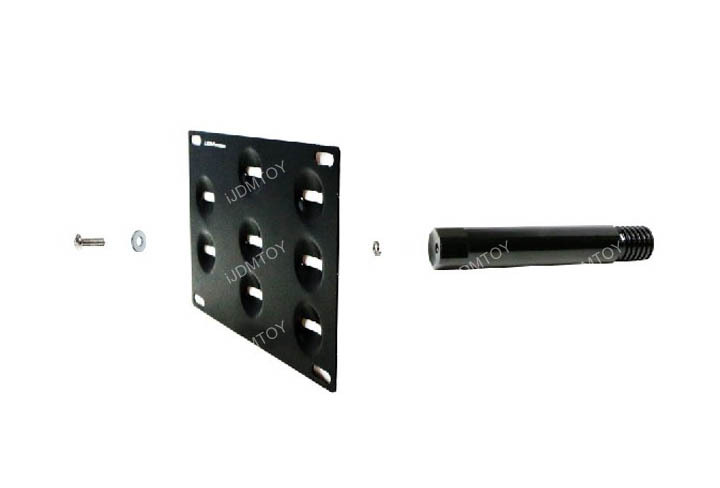 A: At first glance, when you compare the stock tow bar and iJDMTOY's tow bar, it may seem like they are incompatible. 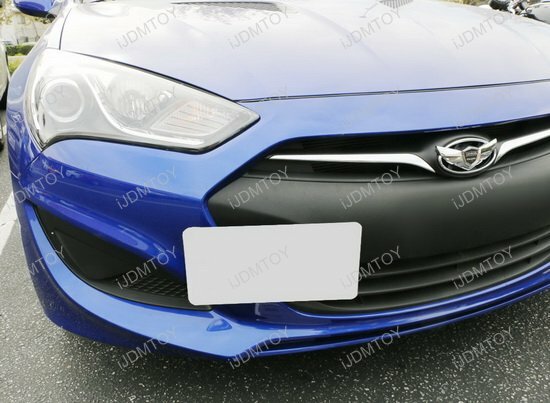 Even though they appear to be slightly different, we have tested the iJDMTOY tow bar on actual vehicles and it will fit. Take a look at the iJDMTOY tow bar on the left and the stock tow bar on the right. You can see the threading size and diameter are the same. We even have recent photos from our customers to demonstrate that the tow bar is compatible with the vehicle. Q: How can I install my tow hook license plate mount to minimize any gaps between the bracket and my vehicle? A: iJDMTOY's tow hook license plate adapter is designed to accommodate all trims for a particular vehicle as well as customer's preference on how they want to mount the bracket. 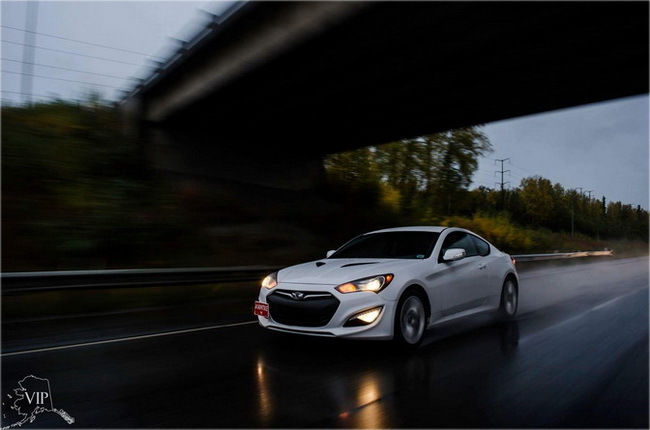 Each bracket has 8 different curved mounting locations so that the bracket can be positioned accordingly to the design of the vehicle as well as angle adjusted for personal preference. Most customers choose to mount the tow hook license plate adapter bracket at the center location. This is the most popular look, with a smaller gap towards the inner part of the car and a wider gap at the outer side. You can even adjust the angle of the license plate bracket before you secure it in place. 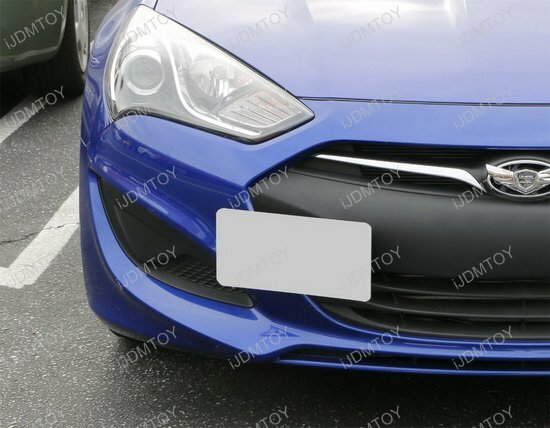 If you prefer a more flush look, the outer left hand mounting positions allow the bracket to sit closer to the bumper. Since this bracket is designed to fit different vehicle trims and options, you may need to bypass the parking sensor. If this is the case, the positions on the right hand side are also a viable option. If you feel that there is too much gap between the edge of the vehicle and the bracket, you can also adjust the angle of the bracket as well. Check out this YouTube demo that shows you all the possible scenarios you can install your no drill license plate mount. 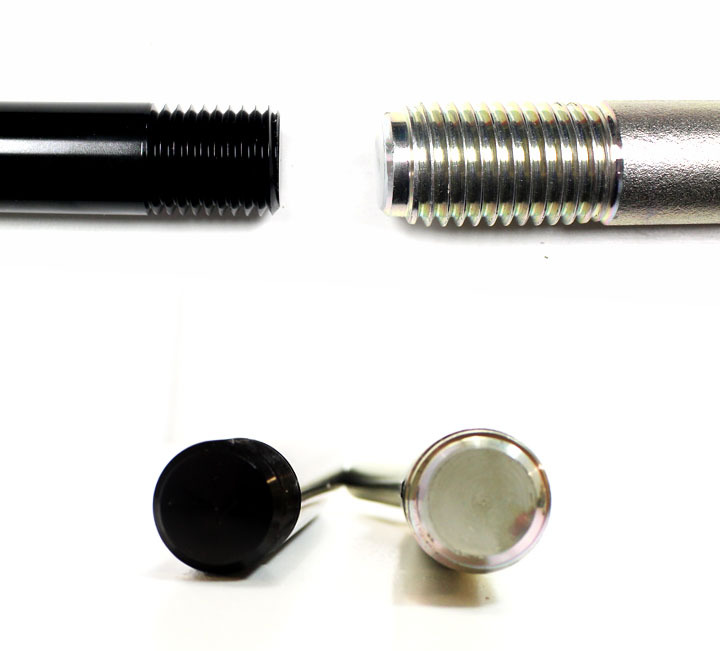 You can directly bolt on this bracket/adapter to your vehicle's front bumper tow hole and mount your license plate there instead of drilling and damaging your vehicle's front bumper. 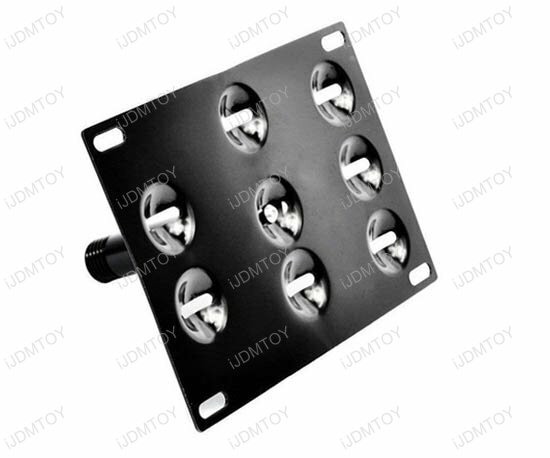 Unlike the "copycats" on the market, our iJDMTOY license plate mounting bracket is made of black powder-coated steel instead of aluminum which is much stronger, more durable, and better prevents the license plate from spinning due to high-speed driving. 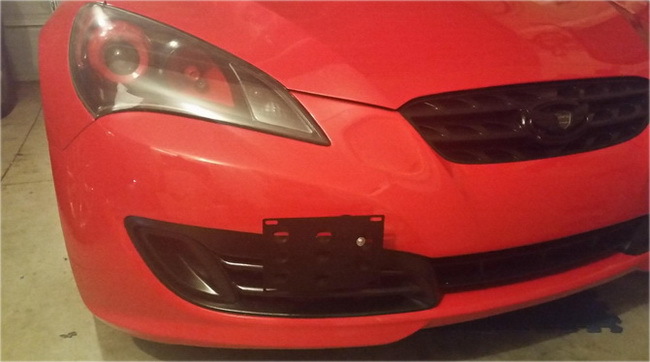 The mounting bracket also comes with 8 different mounting locations to best keep the plate from blocking the intake vents / lights / parking sensors and angle adjustment slots on the plate to better follow the curve of the bumper during the installation. 5 of 5 Total Reviews: 2 Write a review. 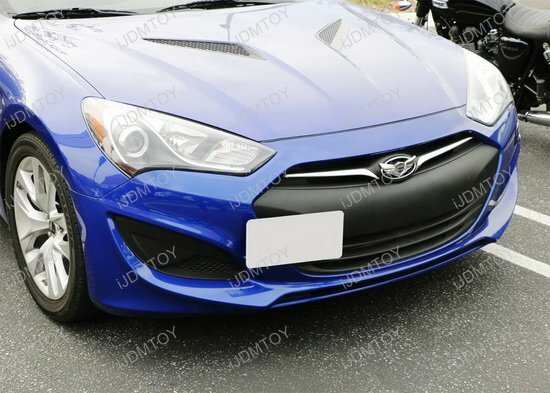 I got the KDM bumper tow hole license plate mounting bracket early, it took a total of 6 minutes to install I feel like the fitment is perfect, for 25$ this is 100% worth it ! License plate adapter fits great on my car. Bar to screw in is black, which is a big plus. Good price as well.